You are here: Home / Article Knowledgebase / Impact of Kal Sarpa Yoga as per the ascendants and the suitability of Hessonite and Cat’s Eye. Impact of Kal Sarpa Yoga as per the ascendants and the suitability of Hessonite and Cat’s Eye. What is Kal Sarpa Yoga? Kal Sarp Yoga is often compared to an eclipse. Just like eclipses, Kal Sarp Yoga affects the individuals in whose charts it is formed. The Vedic system of astrology makes up of 12 houses or sectors and 9 planets. Rahu and Ketu are also considered to be planets, apart from Sun, Jupiter, Saturn, Mars, Venus, Moon and Mercury. Rahu is also called the head of the snake or dragons head and Ketu is also called the tail of the snake or Dragons tail. When all the 7 planets are wedged between Rahu and Ketu, or between the head of the snake and the tail of the snake, Kal Sarp Yoga is formed. Before the analysis of the impact of the Kal Sarpa Yoga it is necessary to know what are the conditions under which the dreaded Kal Sarpa Yoga is formed.? In an individual’s horoscope, when all the planets are hemmed between the axis of Rahu and Ketu, Kal Sarpa Yoga is formed. It is important to note that Rahu and Ketu are always placed 180 degrees from each other, and are always placed in the 7th house from each other. So when the Kal Sarpa Yoga is formed all the planets occupy one half of the horoscope and the other half remains empty. Even if 1 planet is outside the axis of Rahu and Ketu, the Kal Sarpa Yoga is not formed. When is the maximum impact of the Kal Sarpa yoga felt? The maximum impact of the Kal Sarpa yoga is felt when the Major periods / Maha Dasha or the Sub Period / Antar Dasha of either Rahu or Ketu are operational. During other Periods/Dashas, even though the Kal Sarpa Yoga exists, it lies dormant. Remedial measures are definitely required to negate the ill effects of this yoga, as this yoga has the power to cause miseries in one’s life and can cause the afflicted individuals to lead a stressful and miserable life. In fact, this yoga has the capacity to negate all the good Yogas that may exist in one’s horoscope. Hessonite the Gem of Rahu and Cat’s Eye Chrysoberyl The gem of Ketu have bought the fastest results as per our statistical records provided they are Jyotish quality gemstones and are indicated in the chart after a through analysis. For the remedial measures to be most effective and beneficial, the timing of the remedial measures must be accurate. Whenever the Major period/Maha Dasha or the Sub period/Antar dasha of either Rahu or Ketu is operational these remedial measures should be implemented to get maximum relief from the effects of this dreaded yoga. Aries and Scorpio: Analysis of these two ascendants is done together as the lord of both these signs is Mars and both these ascendants get similar results of the Kal Sarp Yoga. People with these ascendants in whose charts Kal Sarp Yoga is forming, are neither satisfied in Jobs or in business. These individuals face many ups and downs in life. Due to their constant struggle there is a loss of self-confidence. Due to the Kal Sarp yoga, even the fulfilment of day-to-day needs becomes difficult. Life is full of disappointments. Frequent unsavoury incidents also cause tensions and stress. Taurus and Libra: Analysis of these two ascendants is done together as the lord of both these signs is Venus and both these ascendants get similar results of the Kal Sarp Yoga. People with these ascendants in whose charts Kal Sarp Yoga is forming, are always worried about their employment / business. They constantly fear losing their job or incurring losses in business. 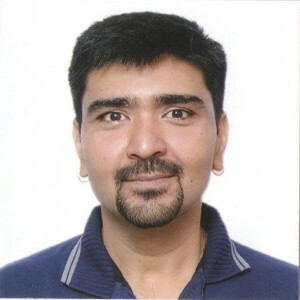 Due to lack of self-confidence these individuals are unable to fulfil their destiny. Even when their goals are in sight, these individuals, out of fear, back out and go back to square one. These people are unable to have great achievements more due to lack of self-confidence that due to lack of opportunity. Gemini and Virgo: Analysis of these two ascendants are done together as the lord of both these signs is Mercury and both these ascendants get similar results of the Kal Sarp Yoga. People with these ascendants in whose charts Kal Sarp Yoga is forming, are always desirous of reaching the heights of success in their jobs but rarely succeed. These individuals should not get in to business of Steel or Iron goods, either manufacturing or trading. Even being commission agents will lead to losses. These individuals should deal in items like paper, cloth, provisions etc. Hotel and restaurant business is also good for these individuals. A peculiar trait in these individuals is that they are often disrespectful to their elders and this also leads to their downfall. Cancer: Kal Sarp Yoga in Cancer ascendant individuals does not let these individuals succeed greatly in business or jobs. In spite of this, they can be greatly successful in areas like, Medical Doctors, Astrologers etc. But often the physical facility of these individuals is diminished, so also domestic happiness. These individuals can also be termed as shrewd and opportunists. They go back on their words if the situation so demands. These individuals can only be wealthy if they donate a part of the wealth they earn. Leo: Individuals with Kal Sarp yoga occurring in their charts are constantly worried about their day-to-day and domestic life. These individuals make good amount and constant profits in their business, but tend to loose it all in one stroke. Even when it looks like they are building up wealth all gets destroyed. These individuals dislike working for anyone, but they sometimes need to compromise, and to make ends meet they do. They are always keen to maintain unity in their family. Analysis of these two ascendants are done together as the lord of both these signs is Jupiter and both these ascendants get similar results of the Kal Sarp Yoga. People with these ascendants in whose charts Kal Sarp Yoga is forming, are not successful in jobs. They often take help of women from outside of their own family, even foreigners, and succeed in business ventures. But they are also victims of women from their own household, and loose the success. These individuals can be very successful in areas like politics, commission based businesses etc. They often gain fame, but are not very wealthy due to their own doubting nature. Domestic life is often disturbed. They hide their sadness under a veil of a smile and are always keen to help others. Capricorn and Aquarius: Analysis of these two ascendants is done together as the lord of both these signs is Saturn and both these ascendants get similar results of the Kal Sarp Yoga. People with these ascendants in whose charts Kal Sarp Yoga is forming; often get opportunities to settle in a foreign country. They are also more successful in a foreign country, when compared to their own country. But these individuals are mostly unsatisfied in their domestic lives. They also do not get their fair share in ancestral property. They build their own wealth, but neither their family not they are satisfied with the amount. They are successful in areas like, Ore, Petroleum, chemicals etc. Share market, games of chance and speculative businesses are also profitable. But there is a tendency to loose it all at once. This is formed when Rahu is in the ascendant/1st house and Ketu is in the 7th house. Such an individual must wear a Hessonite during the Major period or Sub period of Rahu. Cat’s Eye must be completely avoided. This is formed when Rahu occupies the 2nd house and Ketu the 8th house. Here too, wearing a Hessonite will bring tangible relief during the Major or sub periods of Rahu. Cat’s Eye must be avoided as Ketu is posited in the 8th house, which is also a Dusht Sthana. This is formed when Rahu occupies the 3rd house and Ketu occupies the 9th house. Hessonite is a more favourable gemstone as Rahu is a malefic planet and malefic planets when placed in the 3rd, 6th or 11th houses confer immense gains. 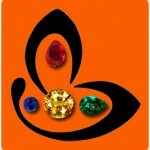 However both, Hessonite and Cat’s Eye are suitable, but during the respective Major periods only. This is formed when Rahu is placed in the 4th house and Ketu is placed in the 10th house. Again, Hessonite and Cat’s Eye can be worn during the respective Major or Sub periods. This is formed when Rahu occupies the 5th house and Ketu the 11th house. In this type of Yoga Ketu is more beneficial as it is a malefic and malefic planets when placed in the 3rd, 6th or the 11th houses give good results. Both Hessonite and Cat’s Eye can be worn during the major or sub periods of the respective planets. This occurs when Rahu is posited in the 6th house and Ketu in the 12th house. Here, Hessonite is more beneficial for the same reason given for Vasuki Kalsarpa yoga. But even Cat’s Eye can be worn during the major of sub period. When Rahu is posited in the 7th house and Ketu is posited in the ascendant/1st house this yoga is formed. Such a person must wear a Cat’s Eye for life long. Hessonite must not be worn. In this yoga, Rahu is placed in the 8th house and Ketu in the 2nd house. Both, Hessonite and Cat’s Eye can be adorned, but during the respective Major or sub periods only. When Rahu is placed in the 9th house and Ketu is placed in the 3rd house, this yoga is formed. 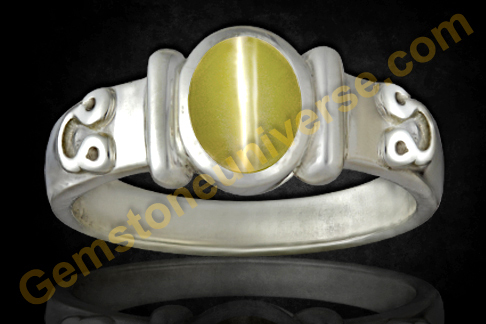 Even though, Ketu being a malefic and posited in the 3rd house, Cat’s Eye should ideally be more suitable, but Hessonite the gem of Rahu can also be adorned during the Major or Sub periods of Rahu. This occurs when Rahu is posited in the 10th house and Ketu in the 4th house. 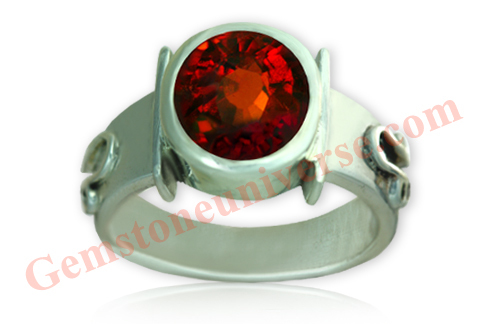 Hessonite is a more favourable gemstone in this condition. But Cat’s Eye can also be tried during the respective major or sub periods. When Rahu is posited in the 11th house, and Ketu in the 5th house, this yoga is formed. Here too, Hessonite the gem of Rahu is more favourable, but should be adorned during the major or sub periods of Rahu only. When Rahu is posited in the 12th house and Ketu is posited in the 6th house this yoga is formed. Even though Cat’s Eye, the gem of Ketu is more favourable, Hessonite the gemstone of Rahu can also be tried, but during the major or sub periods only. Ancient texts have listed out a few remedies when Kal Sarpa Yoga is formed. Apart from the remedies, there is a protocol that has to be followed to make these remedies work. The remedy has to be performed by the banks of a river or in a cemetery in the place reserved for Lord Shiva. Unfortunately, some pundits perform these rituals either in their own homes of in the homes of the afflicted individuals. Performing these rituals at either the pundit’s home of the individual’s home is not according to the ancient texts, and most often is not effective. First and foremost the ritual has to be performed in an auspicious time or Mahurat. 16 Nakshatras or birth stars have been mentioned in the texts as most auspicious for completion of these rituals. Ashwini, Rohini, Ardra, Punarvasu, Pushya, Ashlesha, Magha, Uttara, Hasta, Swati, Anuradha, Uttarashada, Shravana, Dhanishta, Sattarka and Revati are the auspicious Nakshatras for performing these remedial measures. The remedy usually lasts for 3 hours and is completed on the same day itself. Symbolic statues of the Kal Sarp and Rahu are placed on a Kalash and the Pooja is commenced. Nine serpents of gold along with the symbolic statutes of Rahu and Kal Sarp, the food that is dear to them, Dashdhanya, Havan samigri and Pind are made ready and the Pooja is commenced. The sankalpa, Ganesh Pooja, Punyavacahan, Mrityu poojan, Nandi shradh, Navagraha Pooja, Homa and Havan are the most important rituals for the completion of this Pooja. New clothes for the afflicted individual and the Brahmin performing the Pooja are bought along with a minimum of a Naga symbolism made up of a minimum of 1 gram of gold and offerings as per one’s capacity are generally required. Having Kal Sarpa Yoga in one’s horoscope is not all inauspicious and does NOT spell doom. Even when the Yoga is formed in one’s horoscope, great success can be achieved. Jawahar Lal Nehru – Statesman Par Excellence! 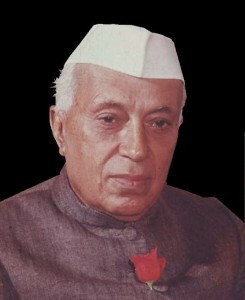 Jawaharlal Nehru, Freedom fighter, India’s first Prime Minister and a statesman of immense repute, had in his horoscope the dreaded Kal Sarpa Yoga, and yet went on to reach the pinnacle of success and fame. 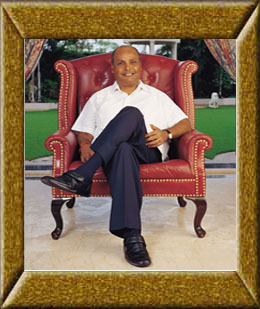 Dhirubhai Ambani, the founder of the Reliance Group, which is one of the biggest business houses, not only in India but also the world, was under the same influence. The success attained by him will be unparalleled for years to come. 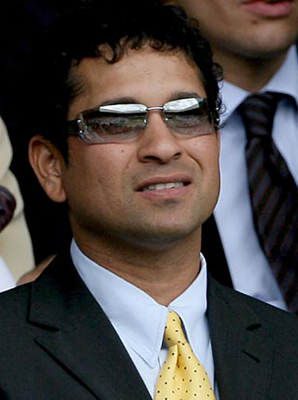 Sachin Tendulkar – Arguably The best Cricketer the world has ever produced! Sachin Tendulkar, arguably the finest cricketer the world has ever produced, also has the Kal Sarpa Yoga in his horoscope. The records that stand in his name, probably the cricketing record books have his name listed more times than anyone else’s, will be unbroken for a long time. Sir Paul McCartney, singer and member of the iconic band, Beetles, also has the Yoga. The success that he has achieved not only as a band member of the group, but also as a solo artist is beyond belief. At one time the band Beetles enjoyed cult status around the world. Also he has been knighted and is now known as Sir Paul McCartney! Gemstones for both the nodes, Rahu and Ketu work wonders during these trying periods when the Maha Dasha/Major Period or Sub periods are operational, but one must never wear both the gems together, and only after assessing the suitability and according to the placements the favourable gemstone can be adorned. Gemstones should only be worn after consultation from a competent Astro-Gemologist as Jyotish Quality Hessonite and Cat’s Eye are very fast acting gemstones with a profound impact.